One of the perennial gardening problems (if you’ll pardon the awful pun) is finding plants that will thrive in shady spots next to fences or underneath established trees. Even more difficult is to find ones that also flower well in these conditions. As a lover of Australian plants I want to share a few of my favourites. Firstly, for flowering performance I have to tell you about a rather obscure rainforest plant from northern NSW called the stream lily, Helmhotzia glabberima. This is a strappy leafed plant that can fulfill the same role in the garden as the Clivea, namely a clumping habit that still flowers well in shady conditions such as at the foot of a large tree where it will also be protected from frost. 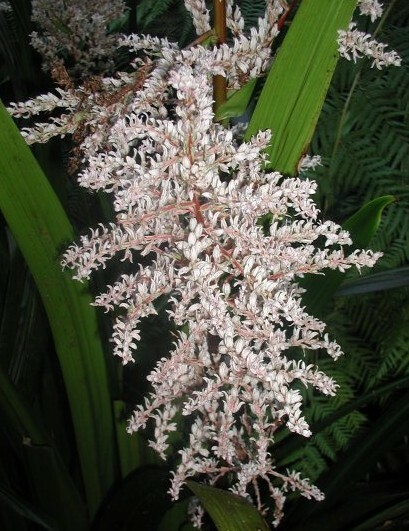 The creamy pink flowers are borne in summer on 1.5 to 2 metre stems above the attractive dark green foliage. 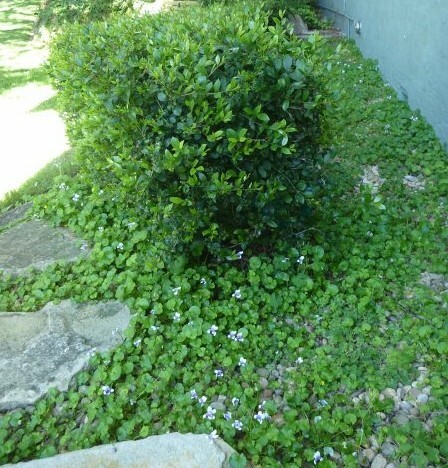 Next is a better known ground cover, the Native Violet (Viola hederacea). Difficult damp, shady spots at the bottom of the garden can be transformed into a lovely green feature with delicate edible flowers to boot. 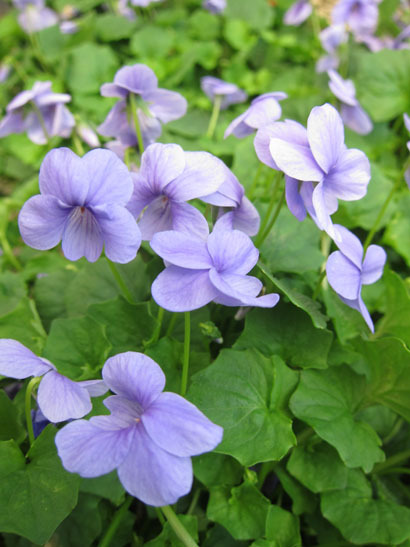 This wonderful plant produces purple and white violet flowers virtually all year round and spreads by runners that enable it to eventually form a continuous carpet that is good at suppressing weeds. It’s very easy to propagate by simply digging up the new clumps formed at the ends of the runners and replanting them straight back into the garden. There’s a wonderful new blue flowered form of native violet called ‘Monga Magic’ after its place of origin in the NSW southern highlands. 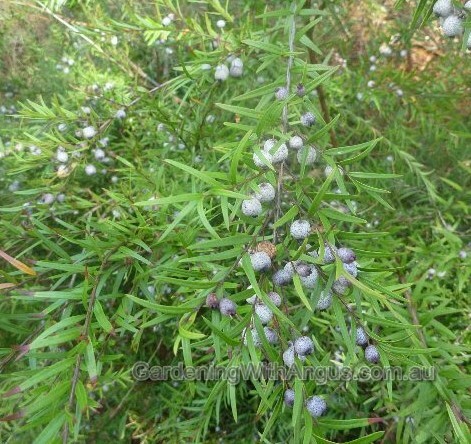 Another edible option is the midgenberry or midyim (Austromyrtus dulcis). This is a fantastic small shrub growing to no more than a metre in height and width, with the attractive pinkish new growth maturing to fern-like foliage. Dainty white flowers are produced in spring and summer and are followed by very tasty creamy purple and white fruits that are a lovely delicacy eaten straight from the bush. It will also tolerate light frosts if given a protected spot in the garden. 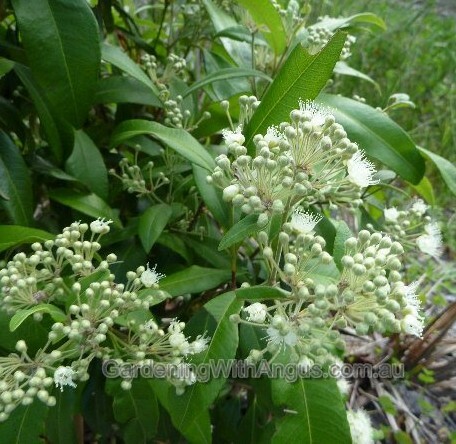 Whilst it will not flower profusely in shady conditions the lemon myrtle (Backhousia citriodora) is nonetheless a good option for shady spots as the richly aromatic, glossy leaves not only look attractive but have also long been recognized for their culinary uses as a lemon flavouring for teas and a variety of sweet or savoury dishes. 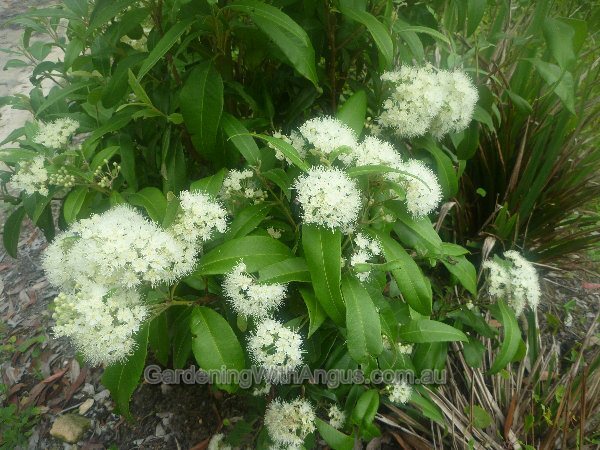 Given a well drained soil and an absence of heavy frost the lemon myrtle will quickly establish itself as a feature plant in a shady shrubbery. Another place to go looking for shade loving plants is to visit a nursery that specialises in Australian rainforest plants such as Sydney Rainforest. I have tried every plant that you have featured in your post – to no avail. Even the Helmholtzia glaberrima. I have tried them in my ‘rainforest’ under Eucalypts. I don’t know whether it is the limestone base that is the problem, our bore water which has a very high iron content or whether it is just too cold. But they have all floundered and either died or had to be removed. The Helmholtzia is a very beautiful plant. I have seen it is flower which is superb, but the leaf also is remarkable. I would agree Angus – it is really worth sourcing, but in warmer areas. I also think that it may prefer some clay in the soil to do really well, which we don’t have. Thanks for the feedback. 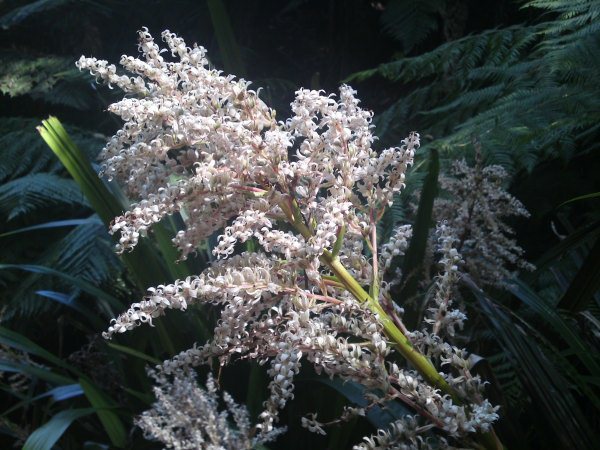 I am not sure where you are but I have seen Helmholtzia thriving in the Botanic Gardens in Canberra at the bottom of the rainforest gully where it would get very cold. Monga Magic also comes from a cold spot near Braidwood. I have a shady area under eucalypts where all of these plants perform well so maybeyour bore water is an issue. Not sure. Angus is currently away but I can offer these suggestions. Try the Community Native Plant Nurseries – Marrickville and Lane Cove are probably your nearest but there are others in Sydney. Or a specialist native plant nursery such as Sydney Wildflower Nursery or Wirreanda Nursery which are both in Sydney. 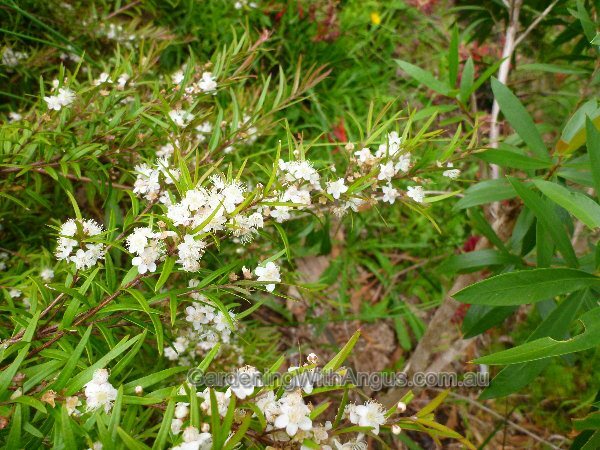 Is it too late in the season to plant a hedge of callistemons in Springwood, Blue Mountains?